A native of Reading, Pennsylvania, Greg Hatza's musical instincts came to him as early and as naturally as the ability to walk, and he was picking out blues and boogie woogie tunes on the piano around age four before starting formal lessons shortly thereafter. The Hammond B-3 became his life's obsession as a teenager, when a friend turned him on to records by Jimmy Smith, Jimmy McGriff, Ray Charles, and Johnny Hammond Smith. His first professional gig on the instrument came when he was 16, with the Frankie Scott Trio, where he played around small towns in central Pennsylvania. Because there were no jazz organ instructors at the time, Greg was largely self-taught , picking up most of his insider knowledge from the organ players at jam sessions at a local club called the Grand Hotel, which was host to groups from Philadelphia and Delaware. It was at the Grand that Baltimore Colts football great and jazz fan Lenny Moore asked the teenager to perform at a club he was opening in Baltimore. Moore became Greg's manager, and Baltimore became Greg's home. The organist played at the club for four years and was something of a young jazz lion himself, recording two albums for MCA subsidiary label Coral Records, The Wizardry of Greg Hatza and Organized Jazz. These recordings featured the late guitarist Eric Gale and drummer Grady Tate. Then came the trend towards more advanced electronic keyboards and rhythms, and Greg's bright Hammond B-3 dream was put on hold. 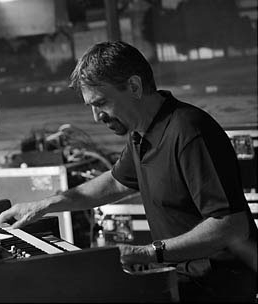 a diverse performer who has also done professional country and R&B gigs, Greg adapted to the trend, switching to the electric keyboard and piano, which he played in different be-bop groups and as a member of his contemporary fusion band Moon August. Moon August achieved much local success and released a national album, Potion, in the mid Eighties. He also expanded his stylistic scope over the years to include distinct ethnic elements. In 1974, Greg began to study tabla, and later sitar. He would continue with his studies for ten years under Ustad Hamid Hossain. 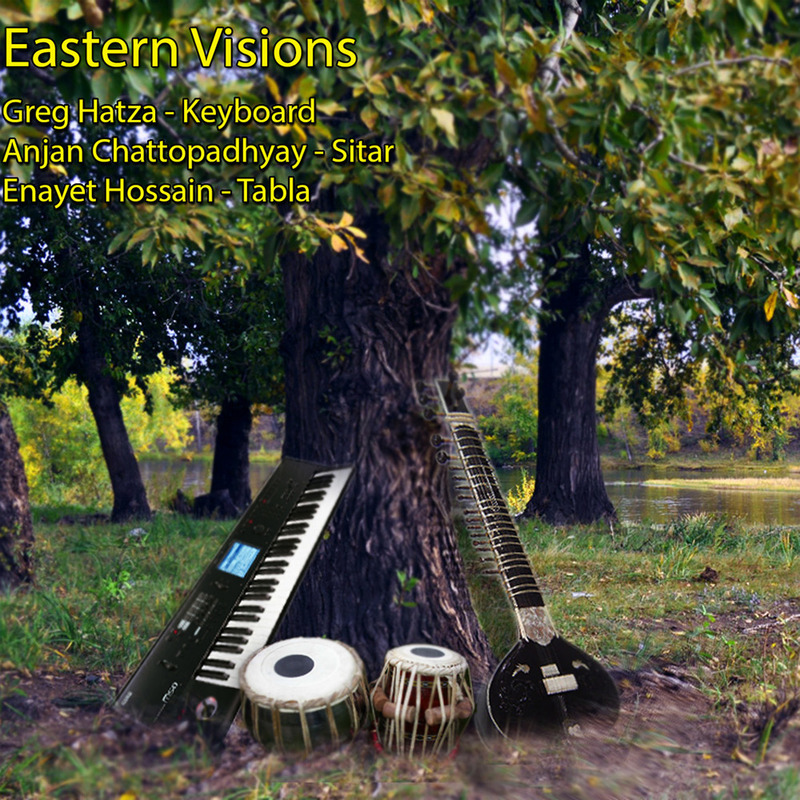 Greg later performed ragas on piano, in concert with Hamid, in the US, India, and Bangladesh. In 1986, he won first place on tabla in the annual "All Indian Music Competition" held at UMBC in Maryland. In 1996, Greg started to study Chinese classical music on the erhu, a two stringed Chinese fiddle, under a Shanghai instructor, Liang Shan Tang. Finally complementing his club smarts with formal education, Greg received a degree in composition from the Peabody Conservatory, and a Master's from Baltimore's Towson State University, where he taught jazz, piano composition, improvisation and music theory for many years. "Students who came in as piano majors always got excited when I played the organ, and some wanted to switch to the B-3 as a result," Greg reflects. "I showed them different techniques in playing the various keyboard instruments. I also oversaw small jazz combos, work which I found rewarding, helping kids play standard tunes. Also while at Towson, Greg initiated and organized a series of jazz concerts. He performed with artists such as David Liebman, John Abercrombie, John Scofield, Dennis Chambers, and Dave Samuels. Greg also participated in many jazz clinics throughout the Midwest with Stan Kenton, and later performed with the Towson Jazz Faculty Quartet in St. Petersburg, Russia. In 1994, Joey DeFrancesco met Greg and told him the instrument was indeed enjoying a popular renaissance. Greg immediately got busy putting together his new ORGANization. "I'm grateful that my instrument of choice is back in the forefront, and my only guess as to it's popularity is that it's always been a very soulful instrument with a lot of emotion and feeling, and traditions ranging from gospel to blues. It seems trendy now for jazz musicians and I hope this newfound popularity will last."